After a delay of a bit less than an hour, the Dodgers and Pirates finally got underway and we are lucky they did. The staff pitched a shutout and the bats broke out the dongs to cruise for a 5-0 victory and a .500 record. That’s four in a row as well. Ross Stripling continued to look every bit the part of a front-line starter, which is just a wild sentence to type. 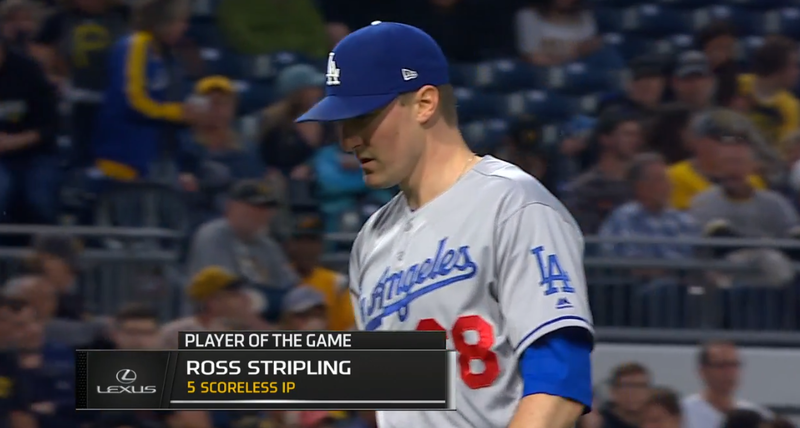 While he went just five innings today on 89 pitches, Stripling walked none and allowed just four singles over those shutout frames, striking out seven Pirates to reduce his ERA to 1.52. After Joe Musgrove struck out the side in order in the 1st, it was a different story in the 2nd. Matt Kemp started by singling to left and Joc Pederson lined a ball out of the park to right for a 2-0 lead. 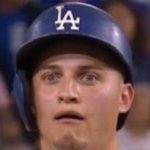 Of course, Joc has tormented Musgrove, and he has now homered in the first three at-bats against him. The Dodgers continued to find success in the 3rd, as Chris Taylor and Max Muncy set the table with back-to-back singles to start, and then advanced to second and third after a failed pick-off attempt at second went into center field. Kemp then cashed in a run with a sacrifice fly to left to give the Dodgers a 3-0 advantage. In the 4th they added another run thanks to a Yasiel Puig bomb to dead center, making it 4-0. The 6th was another banner inning for the ‘Dodgers Need To Play Small Ball’ crew, as Cody Bellinger absolutely launched a 3-1 fastball to dead center for a homer to up the lead to 5-0. Scott Alexander allowed an infield single but otherwise got a scoreless 6th, and Josh Fields got an easy 1-2-3 frame in the 7th. Pedro Baez, naturally, had a bit more of an adventure. He walked a batter and then allowed a single to start, but got consecutive fly balls to center, the latter of which led to Enrique Hernandez creating a double play thanks to his arm. Daniel Hudson finished things off with a scoreless 9th despite allowing a single. Holy crap, the Dodgers are 30-30. They have now won 14 of their last 18, and are currently 1.5 games behind the division-leading Diamondbacks in the NL West. Tomorrow the Dodgers and Pirates will do it again, as Caleb Ferguson makes his MLB debut against Trevor Williams (3.84 ERA/4.04 FIP/5.41 DRA).